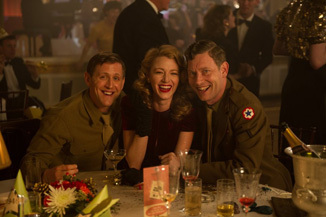 Kim Hollis: Age of Adaline, a romance featuring Blake Lively, debuted with $13.2 million this weekend. What do you think of this result? Edwin Davies: This is perfectly fine, and a little better than I would have expected since I had no idea what this film was about or when it was coming out. Blake Lively isn't much of a known quantity when it comes to film, so this could be a stepping stone for her to bigger things, or it could just be the result of people thinking they have should see something this weekend and being out of options. In any case, I think we can all agree that this film came out and that it does exist. Matthew Huntley: This is a fair opening, but I think it will be a longer rather than shorter while before Age of Adaline finds itself in the black. It cost approximately $25 million to make and probably another $40-$50 million to market; plus, don't think its international appeal will be all that high. With that being said, its profitability attainment isn't impossible, just far out, and, who knows, maybe it will show decent enough legs to get to $40 million stateside, which would be more than respectable. Felix Quinonez: I think this is a perfectly good opening and should be considered a win for Blake Lively. It could hold up okay as counter-programming next week against Age of Ultron and see a small profit before it's all done.